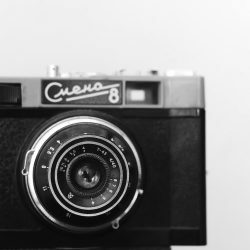 When it comes to the photography classroom, there is so little room for error. You have the perfect storm of expensive equipment, a room full of chemicals, and students moving in and out of spaces regularly. How can you make sure your students stay safe, engaged, and on-task, while also learning a few things along the way? Stay with me, as I share some of my tried and true strategies for managing the photography classroom. My first teaching gig out of college was at a large Midwestern high school not far from my hometown. I was young and excited, but also had a lot to learn during those first years in front of the chalkboard. While I initially went to school to focus on art education, I found a second love in photography and decided to double major. This plan granted me access to studio-specific instructors, and also allowed me to benefit from the holistic teaching practices of art education professors. 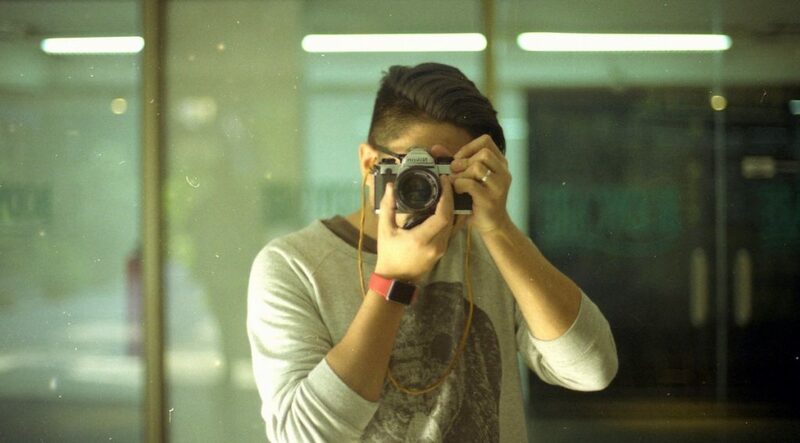 I confidently applied for my first teaching position, which was a high school photography gig. I had the know-how not only to teach my craft but the confidence to navigate the nuanced management of a photography classroom as well. But it wasn’t always easy! Over time, I learned how to manage materials, equipment, and spaces in ways that worked for my students and me. With the tips below you will find candid, real-world experiences. These methods did not merely manifest overnight but took time to develop and will continue to evolve. 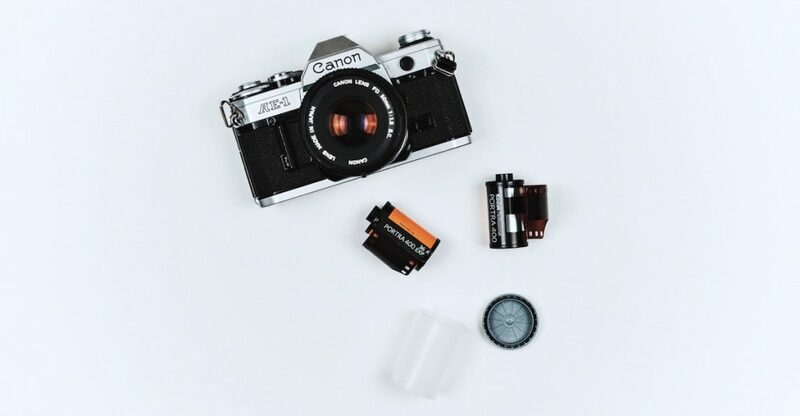 While the following suggestions are focused on learning photography, a lot of these strategies could be modified to fit other spaces and materials. When it comes right down to it, we are all modeling safe, responsible, and creative use of artistic tools. When I first walked into my classroom and neighboring darkroom at the high school, it was clean, organized, and downright sparkly. My building was by no means new. However, the teacher who built and organized our darkroom was obviously in the know when it came to equipment and facilities. As a first-year teacher/photographer, I had just died and gone to heaven. And then I experienced adolescents. After the first couple of class periods, I realized that I had pre-established assumptions. I assumed students would 1) appreciate the beautiful and organized classroom and darkroom before them, and 2) know how to keep the order. The reality was, I need to re-check my expectations. I would be spending a majority of my life in that classroom, day in and day out. But, my students would only spend an hour in it each day, for one semester. Their investment when it came to tidiness was quite minimal compared to mine. I’m not saying they didn’t care at all or were complete and utter slobs. However, I did need to create quick and efficient management and cleanup routines to keep me at ease. When it comes to expectations in your classroom, don’t assume students will hear, see, and digest everything you say. Until science advances and we can peek into our students’ minds, we cannot assume they absorb everything that comes out of our mouths. This is true even if you are repeating yourself ad nauseam. And, this is true even if not following your directions could have dire consequences. Case in point, the day I asked students to place their recently purchased boxes of photo paper on the classroom tables in front of them so we could label them with our names, class period, etc. As I passed around permanent markers, I noticed one student’s package looked like it had been opened. Despite the directions on the package, despite my relentless repetition, this poor freshman couldn’t resist the urge to peek inside. If you are privy to darkroom norms, you are probably cringing inside; that one tiny glimpse, under normal lights, rendered the student’s entire 100-page box of photo paper useless. While a tragedy to lose so much photo paper, this story solidified the importance of not making assumptions. Don’t assume students will hear everything, read everything, or follow every step. At the same time, don’t assume students miss out on information intentionally. You cannot assume ANYTHING, but you can set reminders and hold your students accountable in reasonable ways until their actions match your expectations. That is the end goal of successful classroom management. Taking assumptions out of the mix, I knew I needed to make everything clear and straightforward for my photography students. This is where my previous experience working at the photo lab at my alma mater came in handy. I worked the checkout counter at the lab, which meant when students wanted to use the university darkrooms, they would come to me for their basic equipment (enlarger lens, easel, contact glass, negative carrier, filters, grain focuser, etc.). Every piece of equipment was labeled and scanned. In return, I held onto the student’s ID until the materials were returned in working order. I didn’t have a checkout counter in my high school classroom, but I was able to apply the same organizational measures with a few simple steps. If you’d like to give the system a try, here’s what to do. Number each enlarger station and all of the accompanying accessories needed to print. Numbers should be boldly printed in black on a white background so they can easily be seen under safelights. You’ll want to use quality printable labels that will stick well over time or durable packing tape over handmade labels made with white paper and black Sharpie marker. Assign each student working in the darkroom a number. That number represents the enlarger station and equipment with which they will be working. Check to make sure everything is returned at the end of class. At the end of the class, do a quick round after students carefully arrange their accessories at their stations. Ensure all numbers match and all parts are accounted for. If, for example, grain focuser #8 finds its way to enlarger #2, it is a quick turnaround to resolve the issue and return the equipment to its rightful home. Earlier I mentioned pesky grain focuser #8 always finding its way to enlarger #2. Well, that was based on a true story. Strange, right? To find out what was going on, I began a daily inventory of oddities when it came to the management of materials in the classroom. I called them oddities because I didn’t want to fall into assumption mode. I didn’t want to assume a student was doing something on purpose or for ill intent. I just knew I needed more information. In this particular case, I popped in more often to observe. I knew the students I assigned to enlarger #2 and enlarger #8 were good friends. What I didn’t realize was that student #8 was helping student #2 focus their images. You see, student #2 had just got their first pair of glasses. Student #8 was doing a good deed helping with focus but often left their grain focuser at the wrong station when returning to their own printing. A quick conversation between students righted the situation. I also started to place them closer together in the darkroom, seeing their excellent teamwork in action. It was a win for the students and a win for the tidy-minded instructor. If you start seeing a strange pattern, try watching your students and document the oddities. 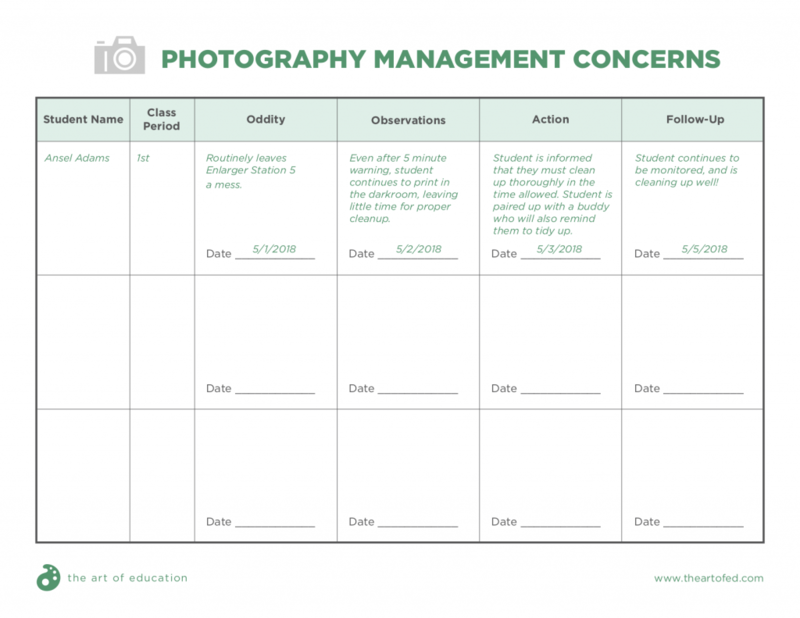 Use the “Photography Management Concerns” download below as a tool to help! But I know what you are thinking, not all issues have such easy fixes. Sometimes students need firmer reminders. Something else I noted in my daily inventory of oddities was damaged materials, mostly in the way of broken contact glass. One student chipped or downright broke three. In each instance, the student was held accountable by helping with darkroom clean up. But I also started to follow and observe the student more closely. He was often careless and moved too quickly in the darkroom. The student was mentored, and broken glass was no longer an issue. When negative oddities begin to pop up, you need to have reasonable consequences in place. When necessary, students in my classroom were assigned tasks which would help them positively contribute to the classroom space. The simpler and more logical the consequence, the easier it is for you to uphold and for your students to anticipate. Consequences can also deter repeat offenses. Here are 3 examples of logical consequences you might use in your classroom. A student who breaks a camera will either need to pay for the camera or help raise funds to replace it. Students who horseplay in the darkroom and splash water (or chemicals) must help mop the space for a week. Students who go outside to photograph, and instead mess about, lose their shooting privileges for a period of time. 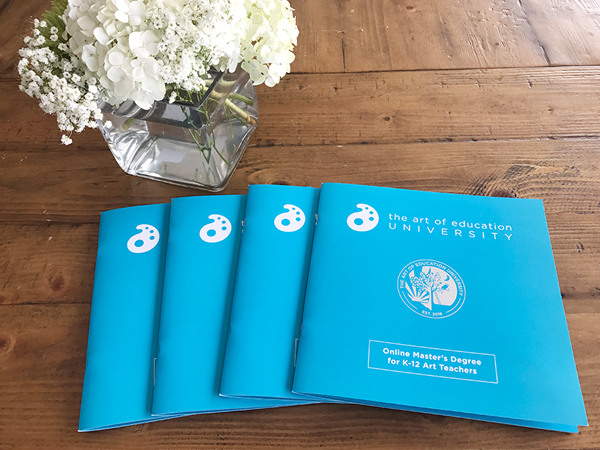 If you’re looking to develop a comprehensive classroom management action plan that can be implemented right away, look no further than AOE’s course Managing the Art Room. You’ll be able to identify structures and routines you’re ready to revamp and have access to the information and expertise to make it happen! I mentioned shooting outside of the classroom space when discussing consequences. 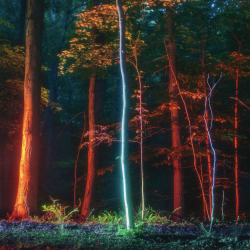 While the darkroom poses many challenges when it comes to management, there are several other places students can be while making their artwork. In my classroom, this included a digital editing station and a film loading room. Students also had access to a small lighting studio across the hallway. And, of course, there was always the possibility of students being outside or on other school grounds taking photographs. As a beginning teacher, managing all of these spaces felt overwhelming. I had to prepare students for a high level of freedom and keep track of where everyone was at any given moment. Hence the need for copious numbers of clipboards, and yes, I mean good old-fashioned clipboards and student sign-in sheets. This system works much like having a series of timecards. 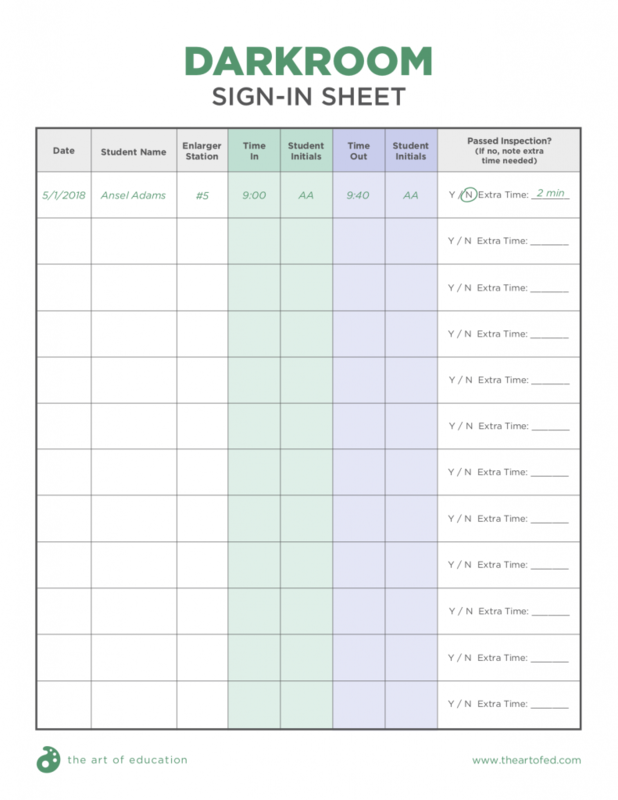 With sign-in sheets, students can check into and check out of different areas. In this way, you’ll know your students’ whereabouts at all times. Designate a clipboard and accompanying sign-in sheet for each location students may be: darkroom, studio, outdoors, etc. Unless a student is in the classroom working on something in front of you, make sure their name is on a clipboard. Download and print the “Darkroom Sign-In Sheet” for use in your classroom below. An additional benefit of knowing where students are at all times is being prepared for an emergency. With this system, you have a record of who is where. To make it even easier, consider hanging your clipboards in the same location as your emergency information. When it came to cleaning and maintaining the photography classroom, my students and I found a good rhythm. Here are 3 concrete ways to keep your photography space clean. Set aside time at the end of each class to tidy, and hold students accountable. Darkroom students knew I would pop my head in ten minutes before the end of class to give them a warning. “Ten minutes left! Wrap up, and see you in five!” See you in five meant that was when I would come in, check that all chemical baths were clean of paper, note the cleanliness of each enlarger station and double check that grain focuser #8 was indeed at station #8. This system also sets the expectation that if the darkroom wasn’t in suitable order, students had to stay until it was. For high schoolers in a large building worried about traveling from one end of the school to another, it was a good incentive. Make sure you have an effective system in place to retrieve students outside of your room. Tidy time also applies to students who may be outside or around school grounds shooting images. You must account for the time needed to return to your classroom, turn in equipment and replace other studio items. 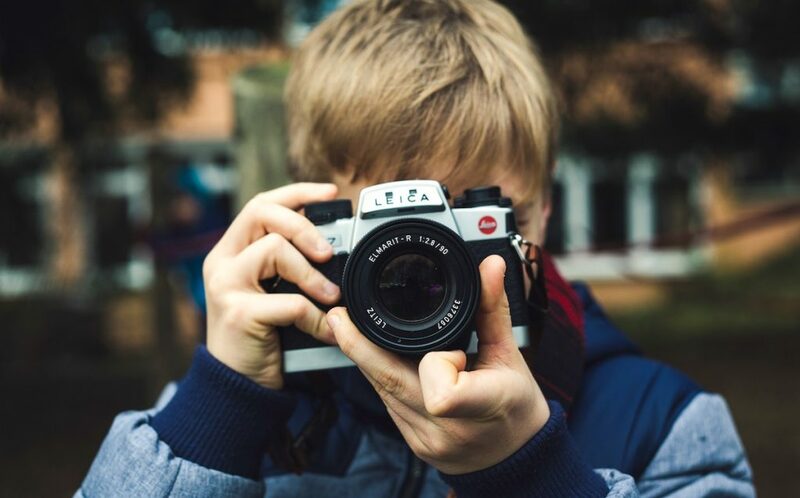 If you have students shooting in alternative spaces of the school, make sure you send them with special passes, so they are easily identified as photography students. My students wore their passes around their necks, allowing them to keep their hands free. In addition, you’ll need a method to make sure they come back to class on time. Send students with digital timers or help them set their own mobile devices to remind them to come back to class at least five minutes before the period ends. Set aside specific times for deeper cleaning. The prior two suggestions will help you keep a general order of the classroom, but also set aside time for regular deep cleaning of spaces. Turn on the darkroom lights and, together, do a good scrub. This tip is so important, because, even with regular maintenance, chemicals like fixative leave a decent residue on surfaces. Inviting (and I use that word a bit comically here) students to help clean the darkroom will be eye-opening for many of them. Seeing the space under overhead light instead of safelights often encourages students to take greater care of the space and clean up more diligently. They begin to understand those extra daily steps make more involved cleanings quicker. 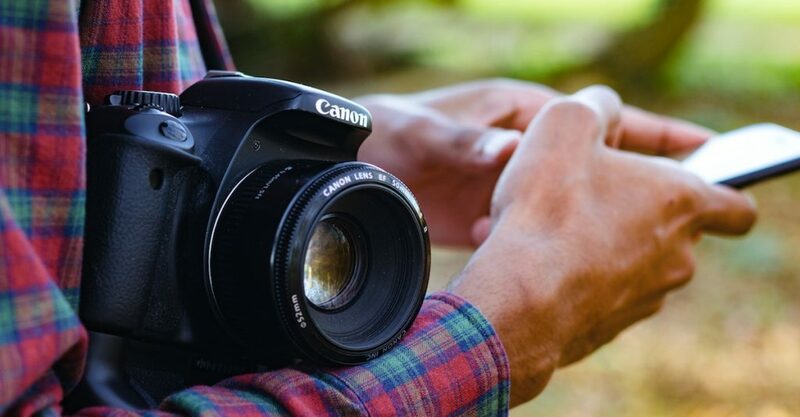 The final step to managing the photography classroom is actually not final at all. Organizing students, materials, and spaces is an endless cycle. As a manager, you must continue to remind students of expectations without assumption. There’s that word again. Assume. In addition, don’t assume every approach and every management strategy will work well forever. As you repeat expectations, revisit steps with an open mind. Is the numbering system to keep track of materials still working? Are those clipboards adequately keeping track of bodies? Do you need to shift to a digital option? The one constant when it comes to management is YOU. You are the conductor of your classroom, and inevitably you always want a smooth ride, right? The previous suggestions are simply here to get you started. I hope you can see ways these strategies can help in spaces other than the photography classroom as well. Such strategies are designed to set expectations, encourage care and respect for the classroom space, and optimize time for meaningful artmaking. The organized classroom is a productive classroom. What management tips do you find helpful with your photography students? 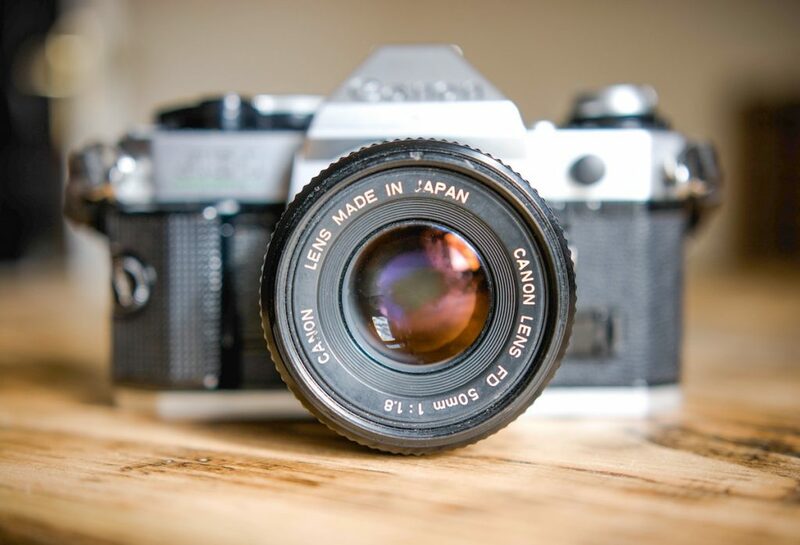 What is your biggest challenge when it comes to managing a photography class? 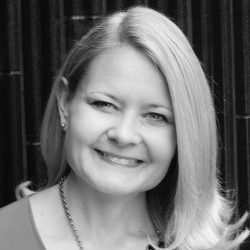 Dr. Sarah Ackermann is the Chief Academic Officer at The Art of Education. A veteran educator with experience at all levels, she is incredibly passionate about the field of Art Ed. Hi Jen!!! I’m so glad to see you here. For others following the convo, Jennifer and I were classmates in undergrad! Miss you, my friend! I started my kids out with binders as well, and ran into the same issue. Do you have space for hanging files? Students kept film, test strips and working prints for current projects in the classroom. Anything “old” would be archived in their lockers in traditional binders then. Could a similar system work for you? I have a 2 folder system. One folder for current assignments and a separate folder for past assignments. ‘Old folder’ kept in file cabinet ( one drawer per class period )-New Folder kept in a box for each level of photo I teach. Everything is in the room and does not need to leave (until the end of the semester or year). I love to use the yellow 9″ x 12″ gummed folders (cheap), and I have student write their name and class period on each folder in bold.